With every barge cruise booking, we provide a trip preparation kit to make your trip easy and enjoyable. If you find other resources on your travels, please let us know. In a fast changing world, new services are being added all the time. Your question not answered here? Call 1-888-264-3983 or Contact Us, and we'll get right back to you. Would you enjoy peace of mind while traveling? Many clients have been relieved to know they were covered for unexpected trip cancellation due to illness in the family, inclement weather and other last minute events, as well as medical coverage, lost baggage and numerous other items. A travel protection plan is highly recommended for trip cancellation trip costs as most payments for barge cruises are non-refundable and non-exchangeable. This is standard in the barging industry. Passport Requirements - Be sure you're ready to travel when the urge grabs you. Note your passport must be valid for six months past your travel dates. If necessary, please renew well ahead. Visa Requirements for Foreign Destinations - U.S. Citizen? Know what you need to have. Visas are not required for U.S. citizens on the barge cruises we represent. Travel Warnings - What countries could give problems to American travelers these days? Transportation Security Administration - Learn about new airport security measures. For emergencies, natural disasters, lost passports, contacting your family during emergencies and helpful updates about what’s happening in your targeted destination, sign up for the State Department’s Smart Traveler Program. Auto Europe - We use Auto Europe as they contract with the major car rental companies and provide cars in many of the smaller locations in France and Europe. One way car rentals are readily available in most cases. They are a reliable car rental company offering guaranteed lowest prices and service in Europe and worldwide. 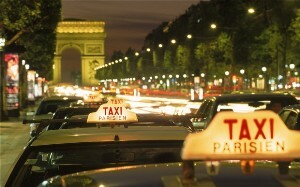 I personally prefer taking a taxi from the airport to my hotel in Paris. Upon arrival, it is simple to go to the taxi stand to take a licensed taxi and away you go. As of March 1, 2016, the taxi fares are fixed from the airport to central Paris at 50 euros from Charles deGaulle Airport to the Right Bank and 55 euros to the Left Bank. The fare will increase if there are more than 4 people in your party. More hotels are offering a ​"meet and greet" transfer service which they contract with a local company often working only with hotels. When making your reservation, inquire if this is available at what cost. If you are a group of 4 or more, an airport shuttle is an affordable option. I use Viator which contracts with reputable local shuttle companies to provide shared or private transportation to your central Paris hotel. Here are some great tips from our favorite France travel planner for the various ways to get from Charles De Gaulle Airport to the center of Paris. Everything you want to know about train travel in Europe. We are happy to provide train schedules and purchase train tickets for our clients. You can also purchase tickets directly. We prefer the "print at home" tickets if they are available as you can re-print if your ticket is lost or stolen. Rail passes are sent in the mail. Be prepared for a long wait if you call Rail Europe during high season. A better option is to open a "Live Chat" which usually has a short wait time and is very helpful with your questions. When booking a barge cruise with us, you will receive extensive trip preparation information including small charming hotels and B&Bs in France and Paris. Here are some of the resources we've discovered with colleagues and partners in the hospitality business in France. These resources are for your convenience only, and we are not responsible for any experience or agreements with them. Esprit de France Boutique Hotels - Our favorite group of hotels for location, quality and value. A la Carte Paris - Designer Paris Apartment Rentals - A la Carte Paris brings you a uniquely focused choice of designer apartments, from an experienced team with the Anglo-Saxon service culture of putting the client first. Bed & Breakfast Inns in France - This is how the French travel. Small Independently Owned Hotels in France - Located in small towns and rural settings, these owner operated hotels often have restaurants on site. Vacation Rentals by Owner is a website of vacation rentals worldwide with complete information, availability calendar and direct access to the owners. Vacation Rentals in France and worldwide - UK's No. 1 vacation rental site for apartments and villas advertised by the owner of the property. French Property Shares - Own a fractional share in a French vacation home with the expert help of Ginny Blackwell who has been helping buyers in France since 1988. CanalBargeCruises.com is happy to share our resources for pre and post cruise travel plans including hotels, car rentals, train tickets, custom small group tours, recommended itineraries, etc. Just let us know at time of booking your cruise how we can help with your other plans in France. Secrets of Paris - private tour guide, Heather Stimmler-Hall, loves to show you her hidden Paris. Girls' Guide to Paris - one-of-a-kind-tours - walking, biking, antiques, food, wine, fashion. 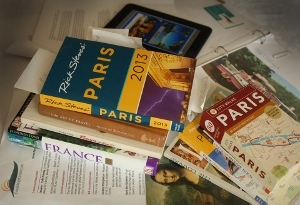 A great resource for everyone going to Paris. Paris Access Club is a private concierge company providing high standard chauffeur-driven vehicles and further concierge services to meet special requests expressed by international clients during their stay in Paris and its area. They provide a wide range of services, a true reflection of Paris elegance and luxury, intended for a very demanding clientele to make their stay exceptional and unforgettable. The personalized programs break away from traditional tourist trails and offer to visitors a "Custom-made Paris." Urban Adventures - Day tours with a difference! Get under the skin of the city you're visiting- over 100 cities in the world - so you know it like a local! Discover France - specialists in cycling, walking, hiking and specialty travel in France. France Travel Info - Discover France with experienced travelers who share with you a decade of travel tips, information about specific regions, sites and language helps. Come with us as we explore the hidden gems, cycle the Loire Valley, explore chateaux, and sip wine in the Burgundy region. Let our favorite country become your favorite country. GoToParis.net - Paris tours, passes, transportation and lots of other info. Mobal.com - Low cost cell phones and SIM cards with excellent France rates. Skype.com - Free phone calls when connected to wireless or a computer. You can download a Skype app to your smartphone. MagicJack.com - Free phone calls to the U.S. and Canada from anywhere when connected to wireless or a computer. You can download a MagicJack app to your smartphone. This number will be provided to you with your final cruise documents and is intended for emergency purposes only. Be sure to call your service provider before leaving to make sure it is compatible overseas. Change to an international plan before leaving to save on roaming charges. Whenever possible, use WiFi to reduce cellular phone charges for data and phone calls. When you have access to WiFi, make calls using Facetime, Skype or MagicJack. Public payphones are becoming more difficult to locate but are available. Most public telephones throughout France now use "telecartes" instead of coins. "Telecartes" may be purchased from post offices (La Poste) or tobacco stores (Tabac). Be sure to check the hotel policy before making your calls. Use this handy converter to find out how many Euros you get for the dollar? Currency in the European Community, including France, is the Euro. There are exchange facilities at most banks in larger towns and at all major airports. You may be charged a commission for exchanging currency as well as a tax on the commission. Normally, only paper currency is accepted (no coins). You will usually get the best exchange rate at a bank. Note that travelers’ checks are rarely being used in France or elsewhere in Europe. You will not be able to use them in rural areas or small towns at all. They cannot be used at shops, hotels, restaurants or small town banks. Even some larger banks no longer exchange them for Euros. There are numerous ATM machines available in larger towns and cities where you can withdraw money directly from your bank account in the U.S. Check with your bank to see if they have an affiliate in France where you can withdraw money with no transaction fees. For example, Bank of America is affiliated with BNP which has numerous ATM's throughout Paris and France. Don't forget your 4-digit pincode! Call to tell them where and how long you are traveling. Otherwise, they may block your card for unusual activity. If the bank will allow, it, there is generally a commission as well as interest charged from the day you take the money until it is paid in full. For hotels, restaurants and shops, you can usually use your credit card. Be sure to check with your credit card company to see if they charge fees for use overseas. Plan to use cash at street markets and in cafes, small stores, toll booths and public transportation. Be sure to bring a Mastercard or Visa as a backup. These are used in many automatic pay stations such as metro tickets, 24/7 gas pumps, etc. When driving on toll roads, be sure to have enough Euros in cash to pay the tolls in the event your credit card is not compatible with the "chip and pin" system. Note that the United Kingdom uses the English pound, not Euros. Ireland uses Euros. Disclaimer: CanalBargeCruises.com and its owner, Barge Lady Cruises, assume no responsibility for the costs or services offered by the above travel resources. This is for information and convenience only.